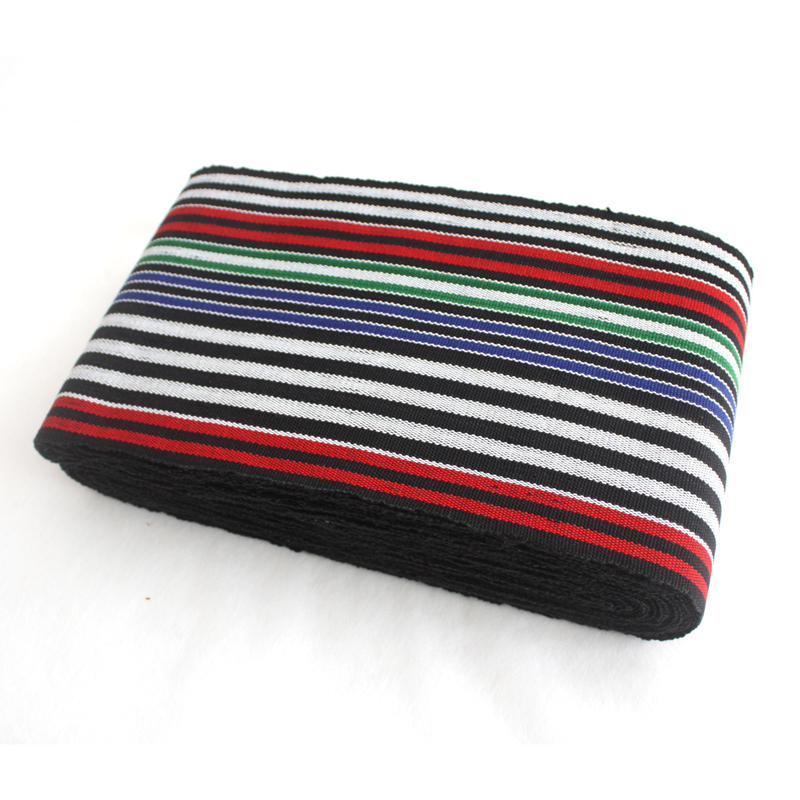 A bold and colourful Aso-oke fabric. 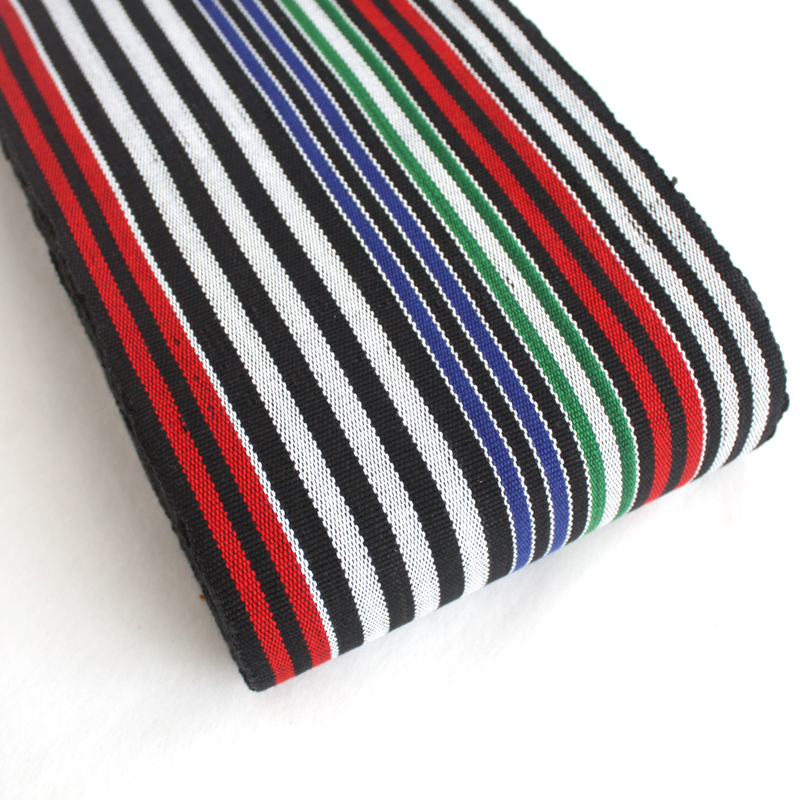 This one comes in a mix of black, white, red, blue and green. Aso-Oke (pronounced ah-SHOW-kay) is short for Aso Ilu Oke which means clothes from the up-country. It is also sometimes refereed to as Aso-Ofi. 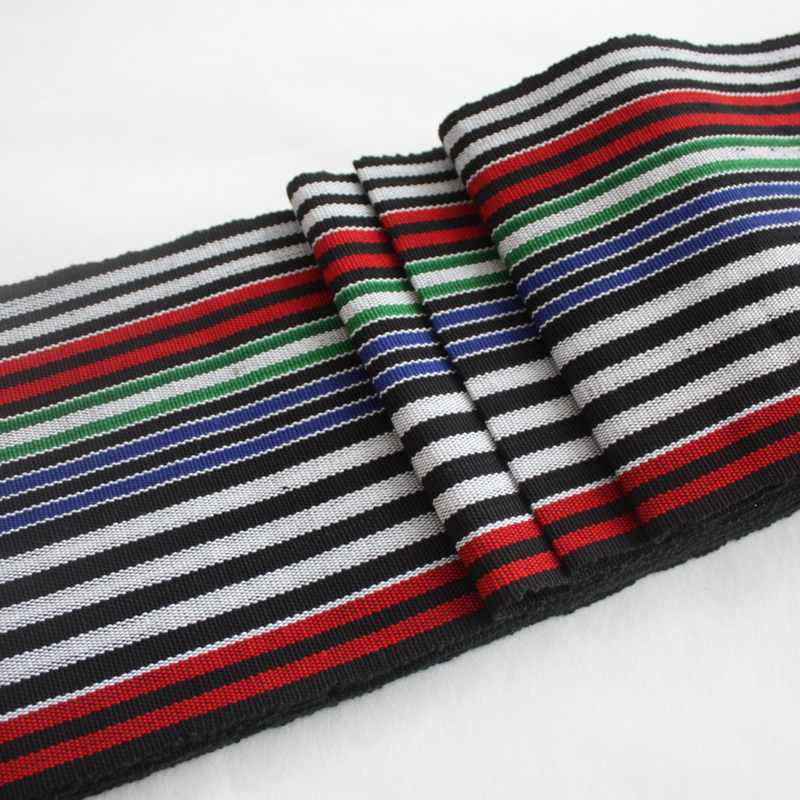 It is a hand woven cloth made mostly by the Yoruba tribe of south west Nigeria. 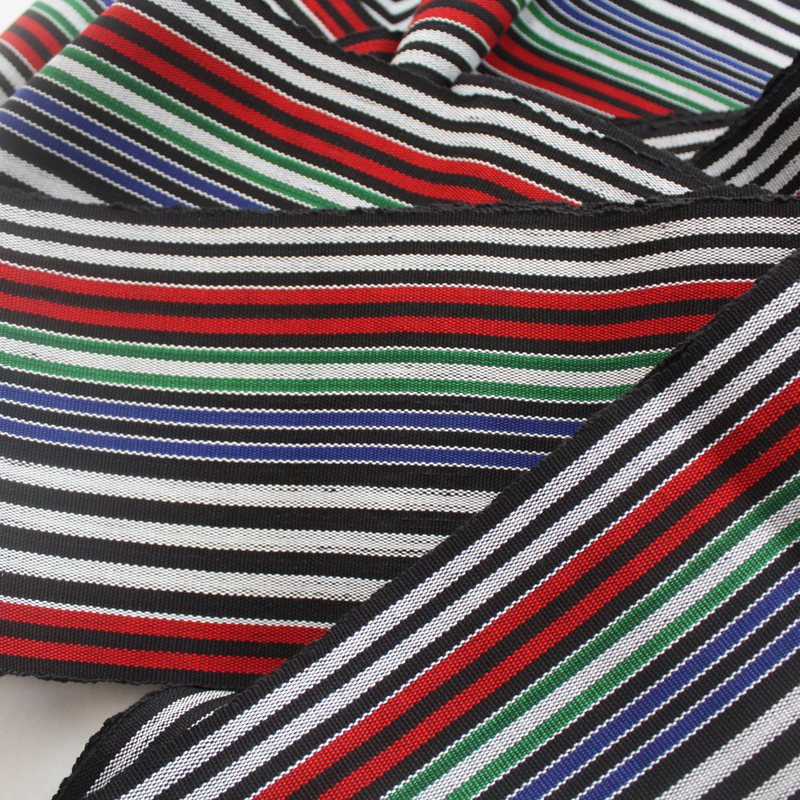 It is woven in strips and these strips are sewn together to make clothing. It is a thick fabric which is similar in texture to denim or canvas. 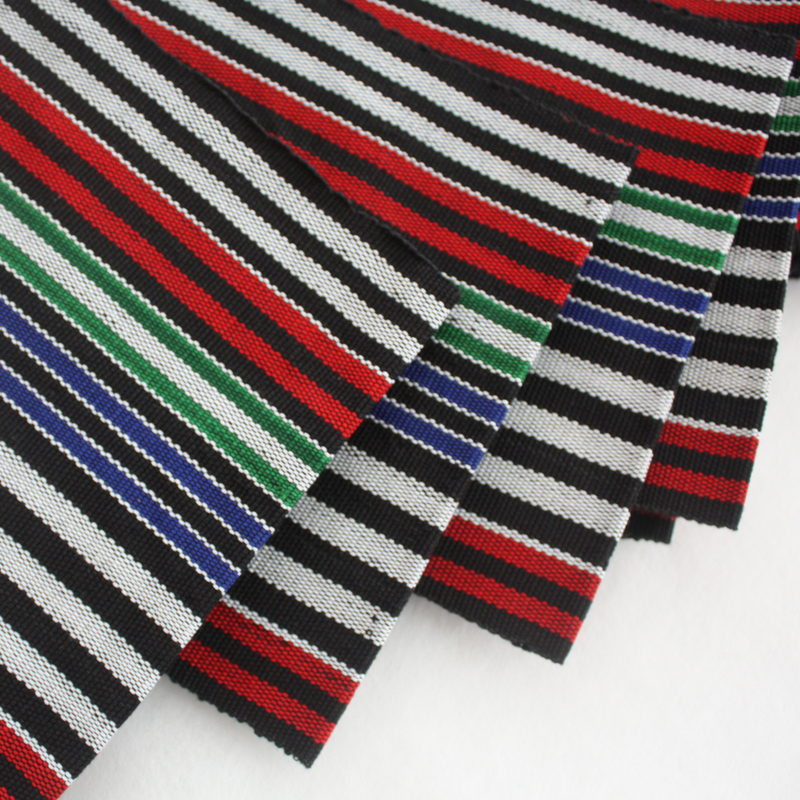 You can order the length of the fabric strip you require by using the arrows above to specify quantity. Your fabric will be sent as one continuous length. 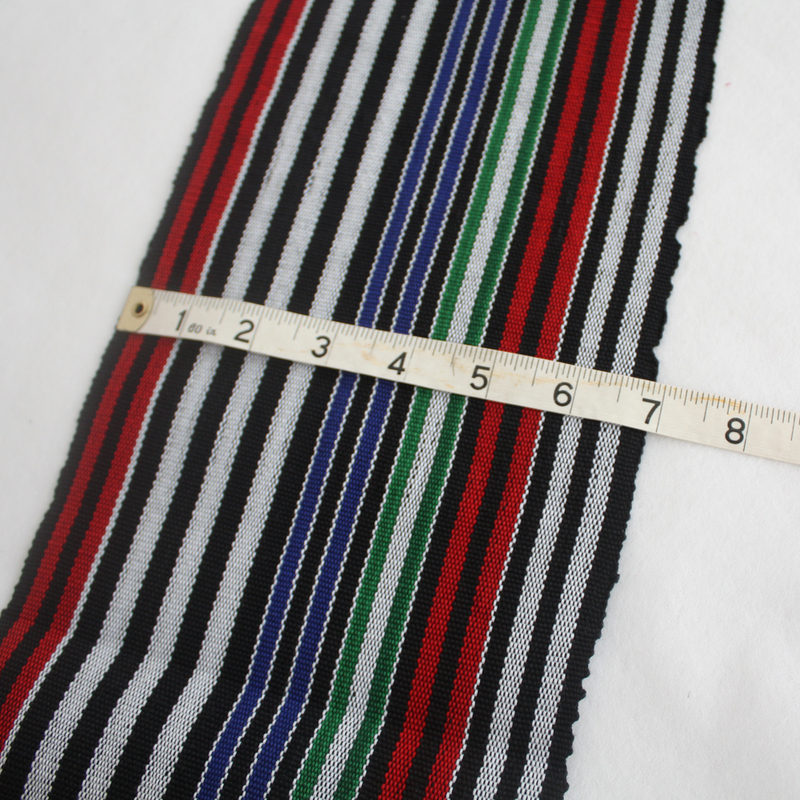 The width of the strip is 7 inches (17.5 cm). 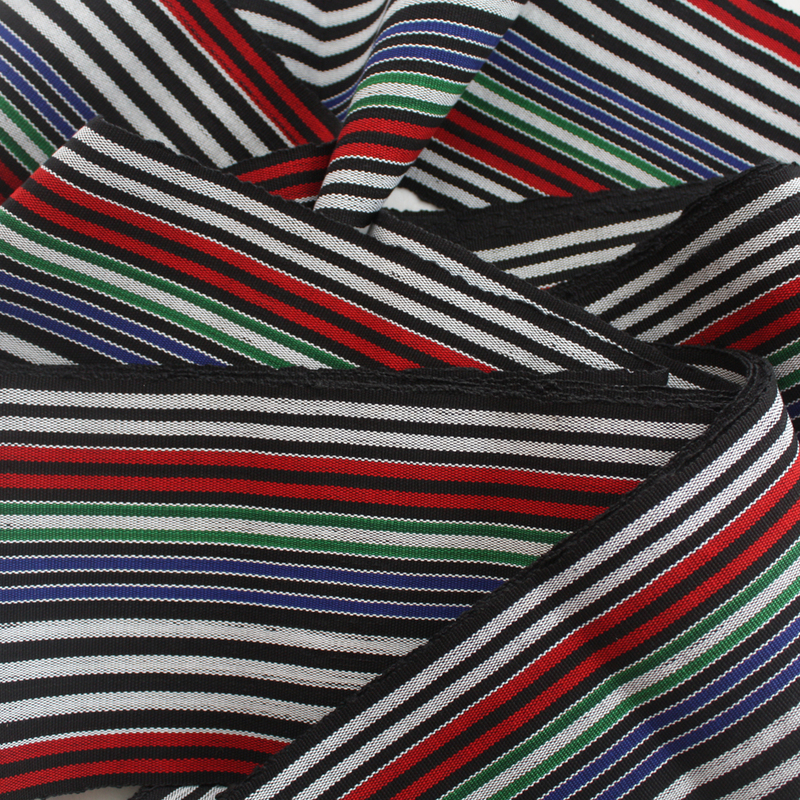 Want to know a little bit more about this beautiful cloth? Check out our post ‘The Beauty of Aso Oke- Traditonal Yoruba Clothing‘.